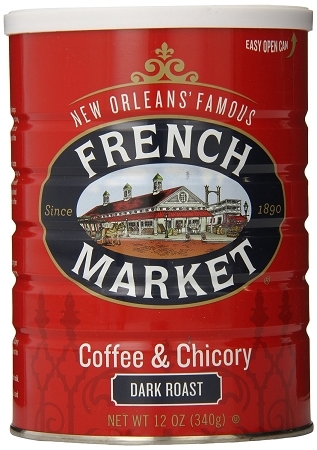 French Market's Coffee and Chicory Dark Roast is made with 100% Arabica beans that are roasted in small batches to release more flavor. Adding Chicory to the coffee gives it a smoother, stronger, and less bitter flavor. This product is perfect for all types of coffee makers delivering a great cup every time. It also comes with an easy open and resealable lid. 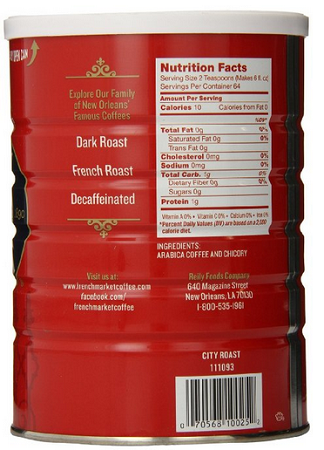 The classic New Orleans blend of our dark roast coffee & French chicory developed over 100 years ago. This is the glorious black liquid gold locals search for every time they come home to New Orleans. 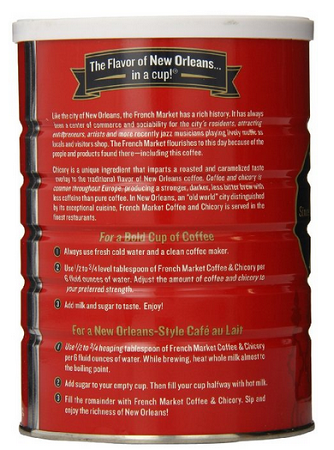 For the traditional New Orleans coffee experience, enjoy it with milk or in a New Orleans-style cafe au lait. An inside look at the process of making New Orleans French Market Coffee including selecting the beans, roasting the beans, grinding the beans, and finally tasting.